When Pakistan Cricket Board opens auction, the management of Multan Sultan has shown the interest to repurchase franchise just four days after he termination of the contract. There are some of the officials, who have already approached board for talks on possible repurchase. The management of Sultans had lagged behind on submission of security money over three months after the due date. After various take ups, the board has terminated the eight year contract, which was signed with Schon Group. 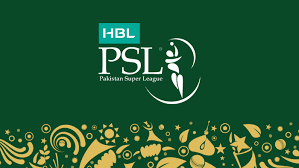 With the termination of the contract, all of the rights of the team are reverted and PCB has retained the coaching staff and players as per their contracts and the team will be still declared the sixth team. It is reported that few of the officials of Multan Sultans are making effort to regain rights of team under new name of Faisalabad on less price tag. This franchise was sold for $5.2 million per annum to Schon Properties Broker LLC in 2017. There are various media reports, which suggest that different business personalities showed their interest in buying the franchise. The potential buyers are included with Mohsin Naqvi of Channel 24 News, Ayyub Sheikh of Royal Palm company and Aqeel Karim Dhedhi, who are the top candidates to buy this franchise.